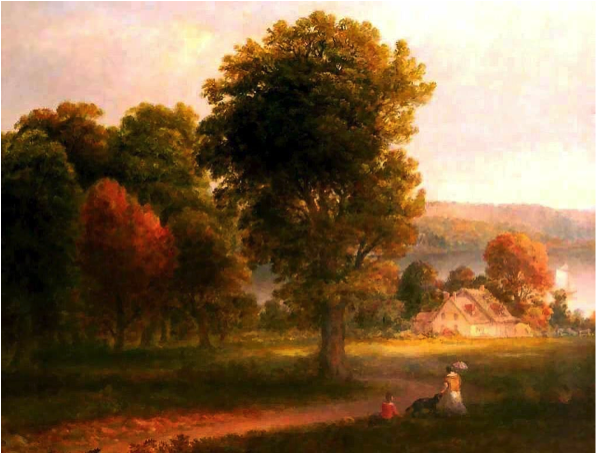 Written by John Keats in 1819, the ode ‘To Autumn’ is one of the last poems he ever wrote: less than a year after having written it, the young poet died in Rome. It is one of Keats’ most popular poems and year after year appears in ‘Britain’s favourite poems’ list. The poem, while not strictly following the structure of the classical Ode, still resembles that form so beloved of the Romantic poets. Keats divides his work into three stanzas, corresponding to the strophe, antistrophe and epode, but uses an unusual 11-line length with the rhyming couplet preceding the last line. 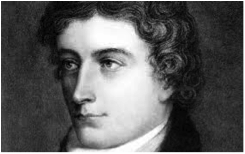 His elastic use of the iambic pentameter and frequent recourse to enjambment give the poem a free, melodic rhythm, at once breathless and natural, spontaneous and colloquial, capturing the true spirit of the Romantic aim of imitating the rhythms of spoken English, an aim expounded by Wordsworth and Coleridge in their Romantic ‘manifesto’, the Preface to Lyrical Ballads. Keats’ more classical sensibility emerges in the elegaic tone and use of tropes, such as invocation and personification, here seen in the image of the girl sitting on the granary floor and sleeping in the fields, representing Autumn in its softest, most ethereal nature. Of interest is the way the poem progresses: the first stanza, set in the early morning, celebrates the onset of Autumn as Summer begins to decline. The second stanza, set at midday, is full of images of Autumn at its height. The last stanza, with its description of early evening, is a presage of impending Winter, the landscape bare and nature in decline. Each of the three movements are characterized by different sensory descriptions: sight, touch, sounds, smell and taste. The three phases of Autumn can also be linked to the three stages of man: childhood, maturity and old age. Described as a landscape painting in words –ut pictura poesis – the poem is not static, however, but enlivened by the thematic and structural progression of its parts that give form and meaning to the whole.